Are you thinking about the beach yet? Maybe tropical fruit like luscious pineapple and colorful dragon fruit? If not, this arrangement is sure to bring you there with gorgeous Pincushions, Orchids, and Roses. 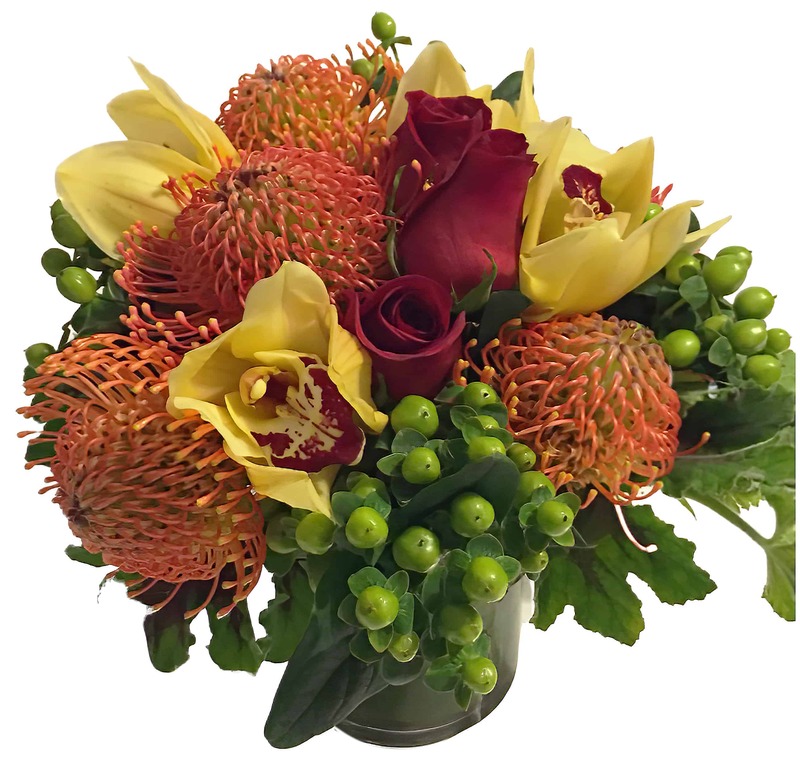 This wonderfully warm colored arrangement is sure to be a hit and the perfect way to celebrate any occasion or decorate for your next beach party.